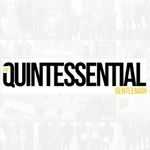 The Quintessential Gentleman is a men's lifestyle and entertainment site that focuses on the positive of men in society. It guides the modern day man into the modern day Gentleman. Topics covered include Fashion, Entertainment, Entrepreneurs, Sports, Community Service and Event Coverage. Demographic data for @theqgentleman's audience is available for free to influence.co users.